"I see the moon, the moon sees me. God bless the moon, and God bless me." Have you ever heard that saying before? I used say it when I was a kid. I even hand stitched the saying onto a cloth for my Granny Sugar as a little girl. It hung in a frame until she passed away. It's in my room now. I say this because I've always had this fascination with the moon. I love this bracelet, and it inspired the tutorial. The moon's phases have always been a reminder to me that things will change. Nothing is permanent, and you can rely on that. So the bad moments in life won't last, but the good moments won't either, so don't take them for granted. I wanted to do some nail art featuring some of the phases of the moon, but every time I have, I've done it differently, at least a dozen ways and with a few color combos. I wanted to make this as easy as possible, so for those of us who can't draw fancy nail art, give this technique for my phases of the moon nails a try. Many moons ago (see what I did there?) I came up with this technique. I would stick something into the clear front pocket of my binder. I'd paint over the design with polish, peel it off, and stick onto my nails. Years later I still use this! In fact, you can see it in an old St Pats nails tutorial here. And that's the technique--we're going to make peel-able decals. Place it under a piece of clear plastic. The sturdier the better. Fill in the design using your polish and a toothpick (or something similar). Allow to dry, and depending on the thickness of the polish, repaint until it will be thick enough to peel off. Paint base coat, and while base coat is still wet, place the decal on the nail. Paint over with a clear top coat to seal in the design. And that's it! I've done this a dozen ways, seriously. You can alter this technique to paint a long rectangle onto the plastic, and then using nail scissors, cut out the designs you'd like. Stamping, stenciling, Sharpies, lots of options! 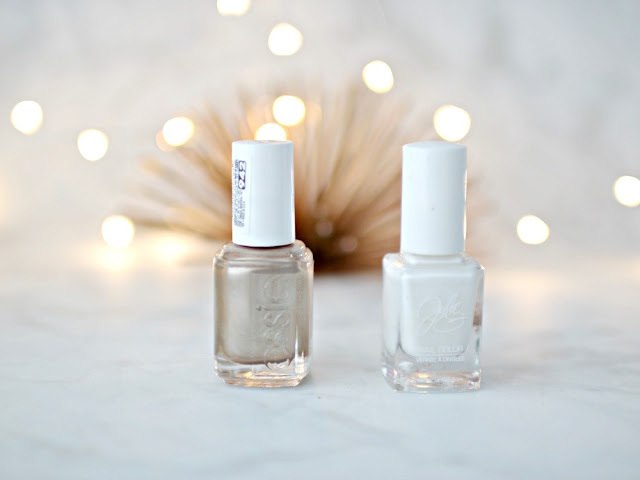 Do you ever try nail art? You had me at moon, this is adorable! I love that it's so personal to you and it's a great reminder of your grandmother. So sweet! I love that your grandmother inspired this tutorial! Your nails are so cute! This is so cool, Elle! I love the idea of making peel-able decals for your nails -- and the rose gold color you picked is so pretty! That's genius that you used your binder, I would have never thought of that!! oh i just love moon phases for all those reasons. and well, so pretty. love the nails! Wow, this is such a cool concept! I've been obsessed with the mom ever since I decided when I was 7 that Artemis was my favourite Greek deity. That sounds so weird but it's true. This is such a cute post - love the nail art! What a fun idea and I super love that rose gold color!!! It is so pretty! The moon has always fascinated me. Very creative and I love the rose gold! I had no idea where you could make your own nail decals like this, but I love it! That makes it so much easier to get both hands without one side coming out wonky! Really like the color combo for this one too! I love how your nails turned out and your story behind it! What you said about the phases of the moon is so true and so beautiful. And the little decals are so cool! This is so cool! My BFF has been playing around with a lot of different nail art techniques and she's got me wanting to try some. I just got some striping tape and I've enjoyed playing around with it. This is super cute! And such a great technique to do nail art with! I am obsessed and in love with the moon! 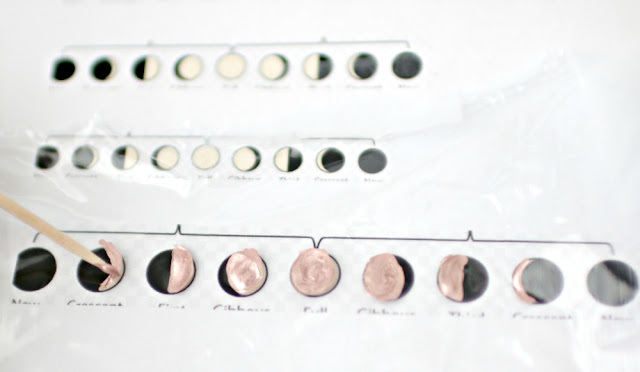 I want a tattoo of the moon phases! My baby sis studied astronomy at Agnes scott college there in Decatur and we are both obsessed with it and all things related. I will have to forward her this post, she will love it!!! This is such a neat idea to try with different shapes! I need to try this with my daughter! How fun! I bet the girls you nanny for thought your nails were the coolest! I love the tutorial and I love that little saying. You are making me want to go cross stitch something! How fun! I have been obsessed with nail art and this is just too cute! Your nails turned out awesome. So going to have to try this out. I have the same bracelet! I wear it all the time because it's so pretty and not too clunky! 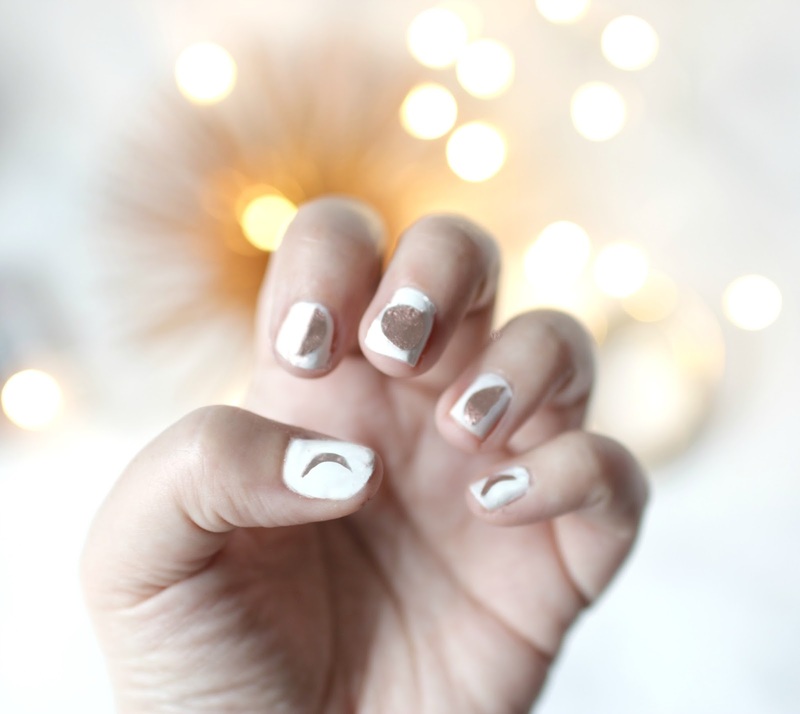 This nail art look is so so so cute! Nail are seems very daunting . . . but those are cute! And I love your take on the moon . . . it does symbolize that things will always change! Love that! What a freaking cute idea! I love it! I absolutely love the story behind these nails, and they're so cute! Perfect for fall, too. You're so talented, Elle! Thanks so much for dropping by LUMINNEJ and say hi. Excuse my lateness for dropping by, as was so busy for the past two weeks with fashion week here and some quick traveling for work. Keep these lovely ideas coming, and hope to see you again sometime soon! Have a lovely weekend! I had never heard that phrase before, but it's so beautiful! I can understand why it's so special to you! Your nail art is always so beautiful, and I really love this one too! cute!! great way to customize your nail art! Love the nails...!! 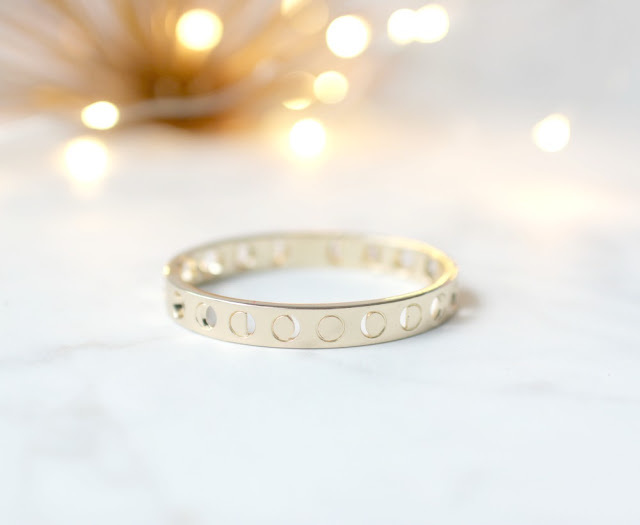 And LOVE the bracelet! !